The wireless carrier's CEO first taunted rival T-Mobile with the ad, which features customers sounding off about wireless service. He quickly changed course after receiving outraged messages on Twitter. Swift blowback from consumers and the media prompted Sprint to pull an attack ad against rival T-Mobile in less than 24 hours on Tuesday. 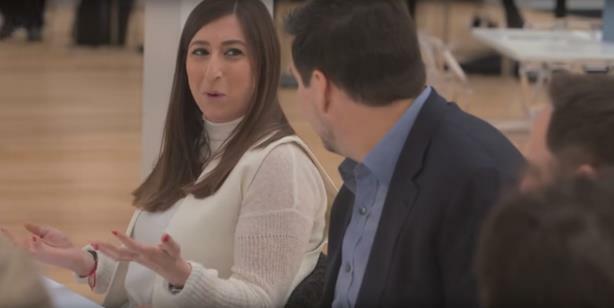 The Sprint CEO 2016 Listening Tour began as an effort by Marcelo Claure, the carrier’s leader, to get the (taped) opinions of everyday customers. In one segment, a white female customer described T-Mobile as "ghetto." Claure began the video by asking a customer to sum up her feelings about T-Mobile with the first words that came to mind. "Oh my god," the woman began, "the first word that came into my head was ‘ghetto.’ That sounds, like, terrible." As customers around the table begin to laugh, Claure nods and says, "Yes." "Oh my god, I don’t know, I just felt like there’s always like three carriers," the customer continued. "It’s AT&T, Sprint, and Verizon, and people that have T-Mobile are like – why do you have T-Mobile?" When Sprint first rolled out the ad on Tuesday, Claure mentioned @TMobile on Twitter, saying, "Sometimes the truth hurts." However, ripples of outrage on Twitter throughout the day forced the CEO to withdraw his support of the spot and quickly strike a conciliatory tone only hours after it went live. My job is to listen to consumers. Our point was to share customer views. Bad judgment on our part. Apologies. Taking the video down. In one series of back-and-forth exchanges between Claure and critics, one Twitter user highlighted the racial and class undertones of the term "ghetto." @marceloclaure you are just another suit. That video was disrespectful to all of us low-middle class Latinos. Claure responded by accusing Medina of "pulling that card." @luism1023 that I won't take. I am as Latino as you are so don't try to pull that card. Another user suggested he should’ve known better than to post the ad because of his background, not in spite of it. Claure relented and said, "You are right." A number of media outlets picked up on the wireless company’s quick U-turn. A story by The Verge called the ad "exceptionally tasteless," while a brief by Fast Company sarcastically labeled it a "magic moment." David Tovar, VP of corporate communications at Sprint, said that contrary to media reports, the videos were not paid ads, but were posted on the CEO’s social media channels. It hosted six sessions with 15 to 20 customers of different mobile networks talking about "the good, the bad, and the ugly," he said. The interaction between Claure and the female customer who described T-Mobile as "ghetto" was uploaded early afternoon on Tuesday and taken down at 7 pm that night, Tovar explained. "What we were seeking was the unvarnished opinions and feedback from wireless consumers," Tovar said. "We wanted really honest and open dialogue with consumers and we got that in all the sessions." He pointed out that the company moved swiftly after the reaction from consumers. "We reacted quickly, we took the post down, we apologized for it, and we learned from it," Tovar said. "In hindsight, we wouldn’t post that today because of the reaction we got for sure." He added that the company has not decided if it will continue the Listening Tour in the future. This story was updated with quotes from Tovar on April 13. Are Uber's new softer spots changing your perception of the brand?